The Calm Before the Storm -The Spain / Catalonia crisis has continued to worsen with each passing day with growing bitterness as each side has sought to up the anti with the Catalans threatening to declare Independence whilst the Madrid regime threatening direct rule and imprisonment of subversives has today come to a head following the Catalan Parliament voting to unilaterally declare Independence from Spain. This prompted the Spanish parliament in Madrid to vote for direct rule over Catalonia, taking control over the regions police, financial institutions and broadcast media that sows the seeds for new Spanish civil war. So far the only international support for Catalan Independence has come mainly from Russian propaganda media eager to stoke crisis and chaos in Europe and the Scottish nationalists who remain determined for Scotland to also commit suicide despite losing their own Independence Referendum held in 2014. My earlier article warned of how Spain had ignored the lesson learned from the Scottish Independence referendum for the whole crisis that Spain faces today could have been so easily avoided, as the majority of catalan people had never been in favour of independence. Instead now we are likely at the very beginnings of a New Spanish Civil War. 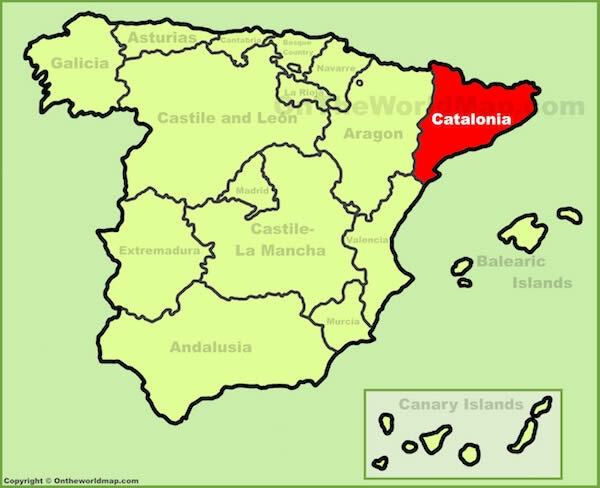 Catalonia the Spark for a New Spanish Civil War? 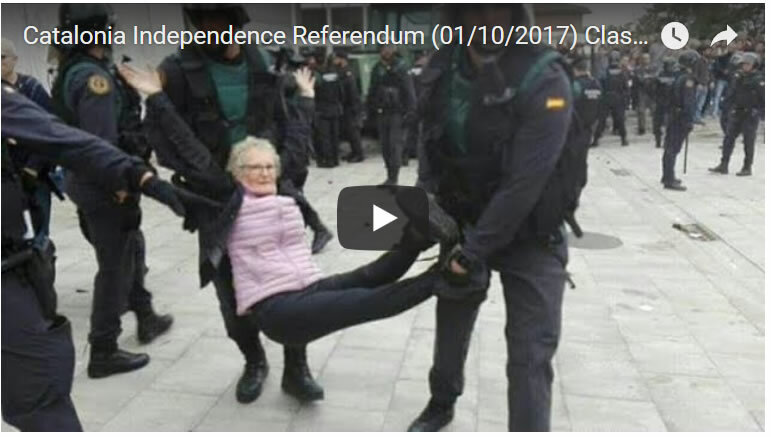 The Spanish governments dictatorial response that includes mass arrests in an attempt at preventing the Catalan people from holding an independence referendum now risks sparking a new Spanish civil war, the next major flash point for which would be when the Spanish regime decided to send in the army, tanks and all to quell the peoples uprising by force, effectively suspending the Catalan government. The irony of the current situation is that if the Spanish government had learned the lesson from the UK and not tried to prevented the referendum from going ahead then the Catalan people would likely have voted NO to Independence. The spanish polls will be soon opening in a few hours time and it will be interesting to see how heavy handed the Madrid regimes storm troopers are in quelling democracy in Catalonia. 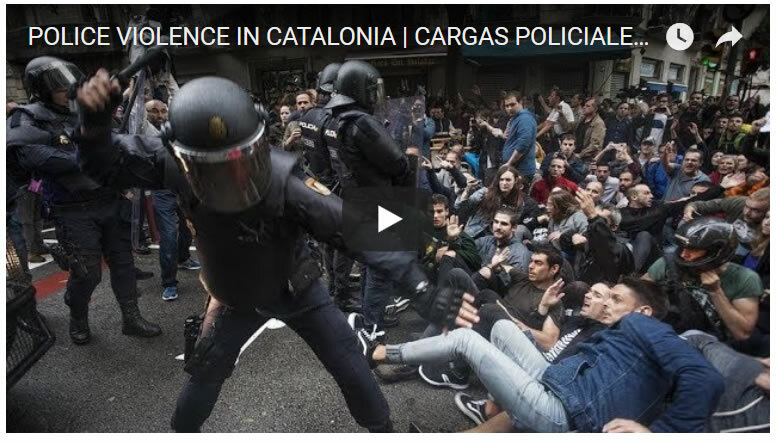 I am sure broadcasters and the mainstream media will soon be playing footage and showing pictures of bloodied voters which is not going to go down well in Spain's other regions that also seek autonomy from the dictatorial Madrid regime. The bottom line is that the actions of the Madrid regime ensure that the Catalan crisis will both worsen and the independence contagion will likely spread to the other regions of Spain. Thus unless the Spanish government reverses course imminently then Spain looks like it is heading towards armed uprisings in response to central government's use of force against peaceful protests which means that today we will be likely witnessing the start of the DISINTEGRATION OF SPAIN! Furthermore Spain is NOT an isolated incidence but is the norm for what to expect in an UNDEMOCRATIVE EUROPEAN UNION! It is NOT designed or operates in the interests of the rights of ordinary citizens who seek the right for self determination, it is designed in the interests of the European Elites which is why Britain MUST succeed in exiting the European Union ASAP else the likes of the Scots will never have the freedom to hold a second independence referendum, not if the UK remains a member of the EU that seeks to consume the sovereignty of its member states towards engineering a common european union governed construct in all aspects of governance! 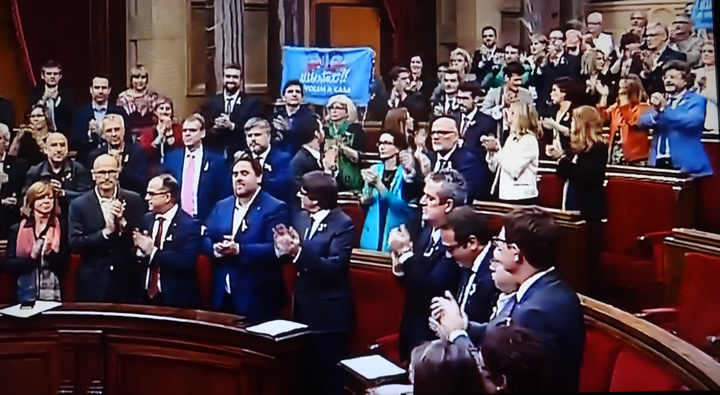 As for the referendum result, the Catalan government is claiming that 90% of the people who managed to make it past Madrid's storm troopers were said to have voted YES to independence which has emboldened the Catalan government to make statements of in effect being on the verge of declaring independence from Spain and thus heralding further political chaos, conflict and violence over the coming days and weeks that ultimately risks igniting a new civil war as the Spanish state effectively disintegrates. 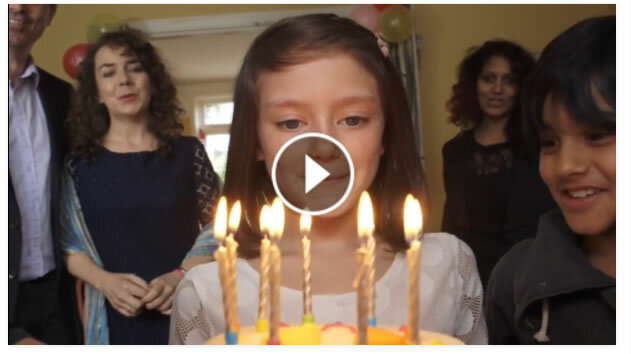 Spanish New Civil War ? 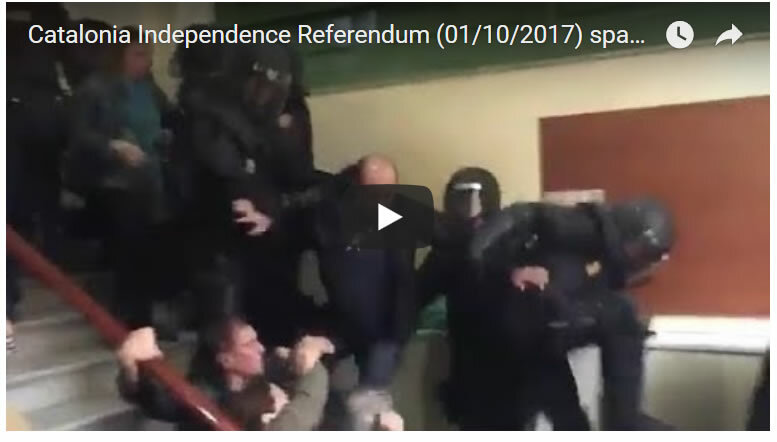 Here are a few youtube videos that illustrate the level of violence that has already taken place during voting day that at the time I warned risked sparking a new Spanish civil war.